I’m in Tanga. (Virtually, at least) Standing outside an ominous door. Inside resides fear. And a special breed of horror. Until I tell you about this soon, I will leave you in the good hands of our resident foodie, Sophie Gitonga, today. It’s D-Day; time to put your game face on. You are closing this deal today and you are going to get Mr. CEO to float his company on the stock exchange. You’ve been wooing him for a couple months now and he’s been pussyfooting around. He has required more effort from you than any skirt you have ever chased. Just recently, you skipped a trip to Vipingo to play golf with the boys, a trip you had orchestrated months in advance, so you could attend Mr. CEO’s daughter’s baptism. But this is why you are the star investment banker at your firm; they don’t call you the Closer for nothing. You are sitting at the Exchange Bar at the Sarova Stanley Hotel waiting for your party of five to arrive. Two junior associates from your firm will be joining you, as will MR. CEO and his colleagues. You arrived early, you like to get to places early so you can acquaint yourself with bathrooms and exit routes, a bit of a compulsion that you have. Everyone finally arrives and you exchange pleasantries and handshakes. The bespectacled Executive Chef comes out to meet you. You think him demure and reserved, nothing like the mercurial Gordon Ramsey from Hell’s Kitchen that you imagine all chefs to be. He serves up his virgin bloody Mary. “How biblical”, you quip, eliciting a smile from Godfrey and your guests. He is honored to be hosting you this afternoon; he has prepared a special menu that he hopes you will enjoy. He has personally overseen its preparation and will be at your exclusive service along with his wait staff. He leads the party through a labyrinth of corridors to the kitchen and up a staircase to the Chef’s table. This room that was his office has been converted into a dining room, with floor to ceiling windows overlooking the kitchen, the belly of the beast. The dining room sits atop a massive dish washer but you wouldn’t know it because you don’t feel any vibration. There are three framed photos of rooms within the Stanley and the beautifully dressed table is centered with carved fruit flower. You admire the kind of human who has the patience to carve fruit into art. When you first walk into the room, you half expect to see Tony Soprano sitting at the head, staring pensively at his pistol as it rests next to his glass of Chianti. It’s the kind of room that mobsters would meet in, away from prying eyes, where they could talk business and plan hits over a plate of Sicilian eggplant parmesan. And you can see why Tony Soprano would like this room. It offers discretion and privacy and is surprisingly quaint. There’s a white hanging from the ceiling with the menu scribbled on it. You had the option of drawing up a special menu with the chef but you decided to give him creative license to come up with his own. After all, how wrong can you get with a guy who has cooked for presidents? You take your seat, yours next to your date, and the effusive waiter Martin, another one with State House credentials, comes by to unfurl napkins and lay them on your lap and pour the drinks. Mr. CEO asks for the red wine, Casillero del Diablo. You read something into this choice because you are always reading into things, another one of your compulsions. You order the white wine to start. Martin wafts into the room with his first offering, lobster tail and crab roulade with tomato vodka jelly and caviar. Tomato vodka jelly and caviar, you are definitely intrigued. They appear on your plate as miniature portions that you could cut up with your credit card and inhale through your nose, if this was a different kind of party. There are a couple of leaves, petals and stems on your plate too which you decide are garnishes and don’t eat. And just like that, it’s over as soon as you began, a quickie opener and then comes the next course, the broccoli and apple veloute. You have gathered by now that everything is going to be in French so you’ll have to wait to see it to figure out what it is. This one is soup, with the littlest head of broccoli and cubed apple at the bottom of the soup bowl. The detail is touching, cute even. The apple adds a little tartness to the soup that you like. Mr. CEO seems to be enjoying himself; you inquire about his daughter, the one whose baptism you attended. “She’s become precocious,” he says, “it’s like the holy waters washed off all traces of my little girl and revealing this young maiden. I’m suddenly worried about the internet and whether I’d be violating her civil liberties if I forbade her from dating until she was 35”. “That doesn’t seem unreasonable”, you say. You don’t have kids but you believe if you had a daughter, you’d have her locked up in Rapunzel’s tower with only a Nokia 3310. The soup is just landing in your stomach when the next entrée arrives; salmon ceviche with a saffron dressing and supreme of chicken with asparagus and truffle beurre blanc. Again, enough words to fill a plate buffet style but don’t be fooled by all the verbiage. These plates are dressed to grab your attention in such a way that you first eat with your eyes and then your mouth. The dangerously red saffron dressing smeared on one end and the salmon placed on it, the freshly decapitated head of asparagus lying there submissively and the chicken generously doused in the truffle sauce looks more like a pale potato mound than chicken. One bite of the salmon and you realize that its texture gives you the impression that it’s mostly raw so you give it a wide berth; it probably ‘cooked’ from the heat radiating off the chicken sitting next to it. Not your kind of thing. The next item is a bit of a surprise, tamarind sorbet. Dessert pops up in the middle of the entrees. This one is Instagram worthy, the sorbet is served in an ice bowl. I point that out to Mr. CEO who credits me like it was my idea. The grilled fillet of beef with port braised basket mushroom puree is delish. It’s soft and intensely flavoured, like it wants to be remembered. It goes nicely with the red wine that you have now switched to. You’d take a picture of it but you feel slightly awkward in the present company. You turn to Mr. CEO to discuss the business part of the lunch. He’s wary of the scrutiny that will come with listing his company. Scrutiny is not a bad thing you assure him in fact it has the direct benefit of increased accountability and compliance. This would also improve his company’s credit rating as well as supplier and investor confidence. All this and more you have discussed during the course of your courtship. He needs to nut up and make a decision. No you don’t say that to him though you wish he could. That kind of boldness you brandish in your office and with your boys. We are down to the wire now. Martin pulls all the stops with closing desserts, iced berry panacotta with a spun sugar sculpture, for oohing and ahhing over, sticky toffee pudding served with lemongrass and coconut ice cream, petit fours and coffee. You feel a diabetic coma coming on. The sticky pudding does exactly what it says, sticks to the roof of your mouth like spoonful of peanut butter. You dare not speak while you have this thing in your mouth; it’s decadent and moist, like something forbidden. The petit fours are a sweet tooth’s dream, a terrible choice if you are just coming out of sugar rehab. The coffee is simply what the doctor ordered and an abrupt end to the debauchery that was this feasting. You make a toast to Chef Godfrey and his crew; their hospitality is only second to the genuflecting Nyabos of Uganda. As you are settling the bill and getting ready to leave, Mr. CEO says he’ll call you tomorrow to discuss the next steps. He has nutted up! This now calls for a whisky round at the Exchange bar. Ps: Sarova Stanley charges about Ksh. 10,000 per person to sit at the chef’s table for a meal. Go ahead, lock that deal there. But this is exaggerated: Sarova Stanley charges about Ksh. 10,000 per person to sit at the chef’s table for a meal. Hi Nancy…To be honest I think its worth it if the wine is included in the 10. So what team does Sophie Gitonga play for again?All the ‘skirt chasing’ and ‘golf with the boys’ has me confused. Great writing though. This part got me confused too. Hope she clears the matter. Still waiting for Biko’s ….. Yes please. I didn’t read the above, may be i will,i was expecting from chocolate man. Biko, please stop doing this to us. I find it hard reading guest posts without Biko’s articles every week. I loved it! Good read, Sophie! I could visualise the food and was right in there with the diners! Too much uzungu in this article..majority of the people cant afford that. Stop giving us fake lives. I like your writing Sophie. I’d love your article more if I was a foodie, I’m not. Did you proofread after you wrote your article? I felt as if you didn’t. After the paragraph on Nokia 3310, it was a downward spiral. Not to be rude or anything…..but these recent writers are not as interesting as Biko is. This blog is not the same anymore,the pieces are just average. Biko,we need you back in a big way. Good advertising for The Sarova Stanley, Sophie. Now, Chocolate Man, you still owe the gang a post! Dear Sophie Gitonga, i cannot afford Sarova Stanley…Please refer me to an affordable option…Awesome Read! Too long. Short and sweet make it fun reading. Loved u first post. This one…?? Too long. Nice way to say didn’t finish reading. Chocolate Man, Corporates are invading our sanctuary. While I appreciate fresh talent, am tired of fast forwarding through posts before choosing whether to read or not. This is holy grail, man. Coming here is what every sane Kenyan is supposed to do, it’s the new identity. You don’t read bikozulu, you are not as Kenyan as you think you are. Kindly get us back to Canaan. I just had dinner with Bond, Jane Bond and that menu killed me. Keep up the good job Mato. Good read. Gang, please encourage budding writers like Sophie. Sophie you did a commendable job, atleast I get to know different kinds of foods and hotel experiences. PS: Writers can never be the same, they have different styles and I think what Biko is trying to teach us is diversity. I feel the people who are disappointed. But as a writer, Sophie has to get a hard skin and know that acceptance takes sometime. I believe Biko had to prove himself severally after Oyunga left…it’s life! Issue not being her writing or proving, but Tuesday is for Biko and Biko only. The rest of the days we can read budding writers trying to prove themselves. Fantastic read! Ilove your style of writing – very sensual! You are going places S.! “Food is art”, so said Chef Gusteau in “Ratatouille” (Hope I got the spelling right), and art stirs me up. Sophie, you have made my stomach make joy bubbles. More of your writings please? chocolate man karekee…we shall protest! I have no idea what you’re talking about but I like the way you say it! Not a foodie. But you had me with tony soprano sophy. Oh, damn you biko! I would had had a mean comment but I remembered how cririscm gets to me..I just decided not to..! Sophie Gitonga sounds like someone I’ll definitely like to know. I enjoyed every bit of your writing resident foodie. Unique delivery of content, fine attention to details. I want to read more from you. I agree with you Miss Bee! Biko Biko! where art thou? love it sophie..they appear on your plate like miniature portions that you could cut up and inhale through your nose! fantastic. Sophie, you are a great budding writer. Please proof, edit thoroughly, toss out first draft and rewrite. Nice gems in there. Biko, still waiting for your post.Tuesdays have always been Chocolate man’s day. Can we have Biko only on Tuesdays then guests have their own day? I haven’t satisfied my craving yet. As a self proclaimed foodie, I loved your article Sophie. Keep going girl! Thanks Biko for giving budding writers this opportunity! Hehe Huan, I agree, it’s not about Sophie’s writing, it’s about missing Biko’s. I, too, agree that it isn’t about Sophie’s writing but about missing Biko’s. I am a budding writer too and if Biko was to host me, I wouldn’t want it to be Tuesday. At all, at all. Sort of read it…..couldn’t finish it…..by the way does Chero have her own blog? It was a nice read…i loved it. Now to eat some ugali…sad:(. This was an extremely brilliant way to write about food. I will come back to this article in a few years time,right now a lot seems Greek to me. Totally got caught up in it. Love how you painted the picture. Asante. Sophie you can write,no doubt. Just a couple of things here. 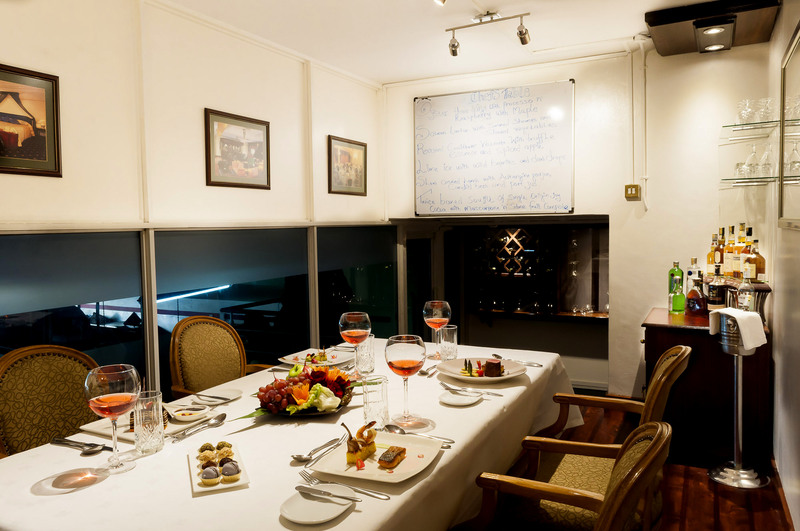 Break it down for us,make it relatable – read,the average Kenyan either hasn’t eaten at these swanky restaurants you frequent or has done so but once – so it’s kinda hard to relate to your uppity palate. If you must take us on these journeys of 4 or 5 star eateries,break down the menu so it’s very relatable like you did with the Sankara one. Make it simple. i wanna read and learn new vocubs but don’t make it so the whole article feels like a race to keep with the dictionary; if it keeps making my head swim chances are i’m losing my line of thought and the flow of the prose. Borrow a leaf from Biko,he can write about very complicated stuff in a very simple way thereby engaging our attention all through. Please don’t read this as Biko is the god of writers and he is the standard,i merely use him as an example coz this is his blog. Finally,BIKO i know you are treating us like kids who have to grow to like and even experience different things but can you please be a constant,even parents who introduce their kids to other aspects of life still have to be there as the one constant,the unchanging factor. Thanks though for introducing us to awesome writers like Sophie and Joe Black. Enjoy Tanga,if you can make it past the horrid,ominous gloom. At times I used to sit on Papa’s chair at home to test if I can run a home, its part of maturity for ‘Chocolate’ to share table space with other foods too. I just dont know what we ate up there but am full. Let me have an eighth of the bill. it has taken me two days to read the article…but have completed finally! Sophie writes well. That said, Tuesday is your day Chocolate Man. Don’t give it away. Nice read Sophie.But i have a feeling Sophie can go random or even pull a Nduta on us. Ay Chocolate man, remember her first day comments;”she sticks things in men’s mouths….”. Sophie,you welcome! Loved the article. Absolutely loved it! I love your writing, always sensual. I enjoyed it very much. The comments have come as a surprise. Sophie,go for it! You did good to be vulnerable and expose your work on such a great platform. Let they who have better stories than yours cast a stone! Sophie, I absolutely loved your article. Love the way you string words together. So descriptive. I tasted the food, felt the ambiance and closed that deal along with the Closer. I especially love that you give readers more than just the food. It was a great article. I even laughed out loud on the credit card. Well done! The article which you have published is definitely worth a read, and the points mentioned can be agreed upon. But out of all places, Kenya is definitely the best spot when it comes to availing the best services related to travel and food. One should research and know about the best hotel in Kenya and their catering, before trying anything related to trying new dishes. Good read Sophie but you could have done better. Expected more about how the Kenyan stock market mongrels work with events and the arguments that build-ed up to the deal.